Robyn's Nest! : word for the year // balance. word for the year // balance. i saw Elizabeth and Kiki choose a word for 2014 that they want to have define their year & be more intentional about. i've never heard of doing this before, but i think it's a super awesome idea! you pray about & choose a word that you want to define your year, & then you keep a journal throughout the year reserved only for that word. i feel like my word was really easy to choose, because it's something that the Lord has been bringing to my mind ever since i got married & it's something my soul has been longing for. i feel like right now i need balance in every area of my life. life has been a whirlwind this past year and a half & i feel as if i will never catch up. i've been so overwhelmed with everything that my new job, marriage, home ownership, double families, & life in general demands. i need balance.... at work because i'm caught in between my old job & new job and i'm learning a lot of new stuff. in my free time because i am normally so exhausted when i get home that i don't use my time well. in my marriage because we have had such a hectic schedule & some bumps along the way that we haven't had much opportunity for true quality time together. in my spiritual life because i have been so inconsistent with my time in the Word & prayer. in our budget because we've had a hard time nailing down what is doable for us. with priorities because there is just so much on my to do list. with family & friend time because there are so many opportunities, but i cannot do everything. in my diet because our hectic schedule has led us to choose convenience over health & we need to be healthier! if you know anything about me, you know that i love lists & routine. hello, i'm an accountant! i thrive off of routine & order. when things are very scattered, i do not function well. to say that the last year & a half of my life has been very all over the place pretty much hits the nail on the head. it has been very draining & honestly that's the word i think that sums up 2013 the best for me - draining. it was a great year & i enjoyed it so much, but it has left me feeling drained. thomas & i have been married for almost 8 months now, and we have yet to find our routine of sorts that works well for us. the week after we got back from our honeymoon, we had to spend 2 weeks building a fence because my dog just did not do well inside all day. two months into our marriage, Thomas got really sick & stayed sick for 2 months. once he finally started feeling 100% again it was almost the holidays & we all know how busy that month between Thanksgiving & Christmas is. so, what my soul really needs this year is balance. what our marriage really needs this year is balance. balance so we can make the most of our days. balance so we can find rest in Him. balance so we have energy & time to pour into others. balance so we can be intentional with our time. balance so we can grow in our walk with Christ & also grow in our marriage to each other. what word do you want your 2014 to be summed up by? Love this! Balance could be my word, too- I'm constantly trying to make sure to stay in balance because life is much better and easier that way! Balance is such a great word, especially when you think about it in the context of the Scripture you used. It's been awhile since I've felt balance in all those areas in my life, so you'll have to let me know if it's accomplishable. I'll be praying for you! P.S. Cute cover page for your journal. 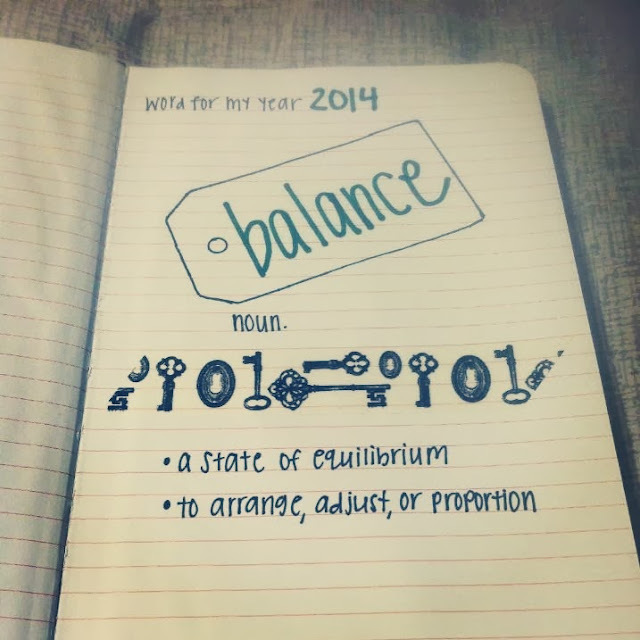 Balance - What a perfect word for the year! What a good word! I need to start balancing out my priorities a little better this year. Like making time for daily prayer! I"m really trying to focus on that in 2014! Thanks for linking up today Robyn! I love the idea of taking one word and applying it to your year. I always go through the different areas, spiritual, emotional, physical etc. and write goals. I like the idea of applying a one word focal point to those areas. Balance is a great one. thanks so much!! 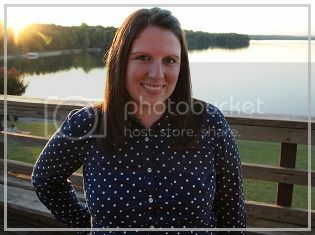 :) i'm excited about living balanced this year! i am SO glad he is well again too!! :) that was a long few months!! Balance is a great word and a great goal to focus on as all too often in this busy age, we miss getting a balance in life. Fab post! Oh, balance is also a very great choice. It's something I ALWAY struggle with – in every aspect of my life, just as also wrote… Gonna try to remember this word as well as my own personal word for 2014! thanks, Ashley!! :) it was fun creating a journal just for my word!! Your writing is so lovely! So great that you have an entire journal dedicated to your word! Good luck finding the balance you are looking for! This journal sounds like a great idea, and I love that you've detailed all the ways you need balance in your life. I think writing about it will definitely help! :) Happy new year to you! thanks!! :) i pretty much process life through writing so i am very excited about this journal! :) happy 2014 to you!! Good luck with your journal and your year! Balance can be difficult to find but it is blissful! thank you so much!! so far i'm having fun with the journal! :) ahhh i can't wait for bliss! thanks so much!! i am ready for a (more) balanced life!! :) happy 2014!! throwback thursday // what am i learning?